Union nurse Nellie Chase was known by Civil War soldiers as the Florence Nightingale of her time — a driven young woman who overcame personal hardship to serve her country during its darkest hour. 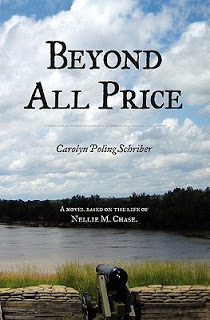 In Beyond All Price, author and historian Carolyn Poling Schriber captures Nellie’s spirit and struggles, letting us experience what it was like to be a Union nurse and a woman during this period of our history. 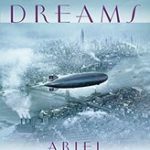 Here, Schriber shares with The Writing Well the challenge of transitioning from biographical writing to historical narrative, the one insight she wish she’d had before she started writing historical fiction, current books she’s reading, and what’s next for her in the realm of historical storytelling. Q. What is the biggest challenge as a writer to go from crafting biographies to writing an historical novel of someone’s life? Schriber: For me, the biggest challenge was transitioning from writing scholarly historical monographs to writing a novel based on historical fact. I was trained to look at every detail, to explore every source of information, to document every quote or paraphrase. As a historian, if I couldn’t prove something, I couldn’t say it. As a novelist, if I couldn’t find out what happened, I had to be able to create a plausible alternative. The first few times I had to make an educated guess were painful. The guilt faded; however, as I discovered how much fun it can be use imagination when facts fail. Q. I read that there was very little known about Nellie Chase’s life. Chronicling her life must have been a challenge. Schriber: In the case of Nellie Chase, there were almost no factual details—only impressions and comments from the soldiers who knew her. So before I could accept their comments I had to find out something about each letter-writer to determine whether or not he was reliable. I couldn’t even be sure I knew who Nellie was. All I could document were the state in which she was born and an approximate birth year that would make her the right age, according to military records. Census records showed something like 137 people with her name, born in her state during a span of five years. Some of those I could eliminate because they died or moved away, or more important, left behind records that meant they could not have been in Pennsylvania or South Carolina when my fictional Nellie was. Still, I didn’t pin her down exactly until I had written the whole first draft, complete with a made-up ending because I had no records of her after the Civil War. Then I found an obituary that revealed her identity, and I learned that I had been entirely wrong about her. Q. How far must a writer go to fill in the gaps of a person’s life (once he or she has exhausted the factual details known about a person?). Schriber: Sometimes too far. I ended up throwing away over a third of my first draft and entirely re-writing the ending of the book. Q. How important is primary research to capturing the sense of place and history of a story? For Beyond All Price, what were your most helpful source materials? Schriber: Luckily for me, I had already written a historical monograph about the regiment with which Nellie served during the early part of the Civil War. That book served as my primary source, and I was very grateful for all those footnotes in it. For that book, I used the Official Army and Navy records, contemporary newspaper articles, the resources of the US Army Military History Library, and an extensive collection of letters written by the members of her regiment, a historical goldmine now preserved at Penn State University. For a sense of place, I was again lucky that the most of the events took place in South Carolina, a state that does a good job of historical preservation. I was able to walk the battlefields and view the preserved plantations near Charleston. And in Beaufort, I even got to visit the house that Nellie and her regimental headquarters staff occupied in 1862. The current owners let me explore the back yard where the slave quarters were and every room in the house. They even had some old photographs of the Union Army during the occupation of the city. Q. 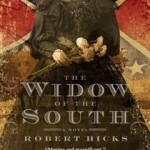 What has been the most gratifying part of this breakout Civil War novel that has earned noteworthy acclaim among Civil War historical societies? 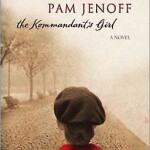 What do you think the novel does really well? Schriber: I’ve never been much of an outspoken feminist, but I’ve been most pleased with the way Nellie Chase has managed to open the history of the Civil War to women. All too often, I think, the Civil War is seen as interesting for men only. We tend to leave the topic to military historians and reenactors. I know of (and belong to) only one society dedicated to “Women and the Civil War,” but it is a small group and not well known beyond its own walls. So I’ve been pleased to find that women are open to reading about the war when the characters include both sexes. And I’ve found it particularly gratifying that some of my greatest fans have turned out to be men. There’s no question that the war had an enormous impact on the lives of all Americans. 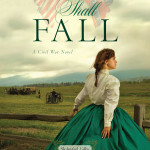 If some of the 47,000 people who bought this book now realize that both men and women played an important role in the Civil War, Nellie Chase’s story will have accomplished what it set out to do. Q. What fascinates you about the Civil War? Schriber: Actually, for most of my life, I wasn’t interested in the Civil War at all. Professionally, I was a medieval historian. My area of specialization was in 12th-century Anglo-Norman diplomatic dealings between church and state, which is about as far away as you can get from America’s Civil War. What sparked my interest in the Civil War was finding a small collection of letters from my great-uncle James McCaskey, who served in the 100thPennsylvania Volunteer Regiment—a rather strange group of soldiers best known for their morality and religious fervor. As I read his writings, I began to see these soldiers as real people, not iconic stereotypes. Uncle James couldn’t spell, he suffered mightily from homesickness, and he had an innocence about him as he trusted God to keep the bullets from hitting him. Some of Uncle James’s experiences seemed so far removed from what the history books said that I started checking his words against the official records. The discrepancies I found made me want to point out that real people often get lost in the overwhelming clutter of military record-keeping. And the more I looked for the reactions of “real people” the more interested I became in the whole period. I’ve sometimes said that I did not discover my Civil War characters; they found me. Q: Looking back on your experience writing about Nellie Chase’s life, what do you wish someone had told you before you began that would have helped you be more effective as a novel writer? Schriber: Beyond All Price was my first attempt at writing historical fiction, and I didn’t know much about how novels needed to be structured. I thought I just needed to write down what happened. What I forgot was that life often does not make sense, but readers expect novels to have logical and satisfactory conclusions. It was also hard for me to pick and choose among the thousands of details I had, so that I could weave a coherent story. I wish someone had introduced me much earlier to a writing guru named Larry Brooks, whose website, Storyfix.com, has now taught me how to build the skeleton of a novel, so that its readers are carried on naturally into a plot that makes sense. Q. Any advice for people who love historical fiction on how to write in this genre? Schriber: There’s been a lot of discussion recently about the art and craft of writing historical fiction. A LinkedIn group of writers has been arguing about the need for research for weeks now. And most writers agree, as do I, that it’s not enough to love history and to set a plot in a historical period. The writer has to know that historical period inside and out, because there will always be readers out there who know more about the story than the writer does. Personally, I’ve given up reading books or seeing movies that deal with the Middle Ages. All it takes is one absurd statement to discredit an author, and once I find myself mentally yelling, “No!” at an obvious blunder, it’s almost impossible for me to enjoy the rest of the story. So my bottom line for any would-be historical fiction writer is “Do Thy Homework!” Don’t get started on such a book until you’re well grounded in the historical facts. Q. Which writers do you most admire? What books are you currently reading? Schriber: Recreationally, I read all sorts of things. I particularly love a good English mystery, like those written by Elizabeth George or P. D. James. Lately I’ve been reading a series of books on World War II written by authors I have met through the Military Writers Society of America – Joyce Faulkner, Leila Levinson, Marcia J. Sergeant, and Kathleen M. Rodgers head that list. 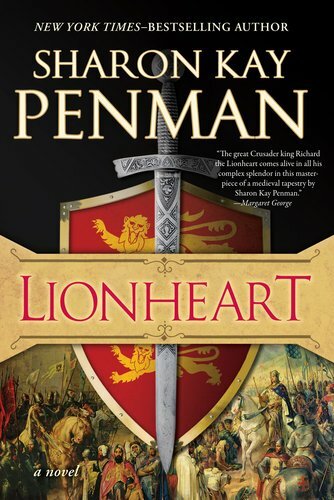 And next on my “to be read” list is Sharon Kay Penman’s new book, Lionheart. My favorite book of all time is Remembrance Rock, by Carl Sandburg. He managed to tell the entire history of the United States in chapters that trace one family’s generations, as they experience and influence the important events of their times. What do those books all have in common? They are written by authors who know and respect the history about which they are writing. Q. Are you working on a new book? If so, can you share some details? Schriber: I’m now working on another historical novel, The Road to Frogmore, which tells the dual stories of a slave woman and a Philadelphia abolitionist, Miss Laura Towne, who together faced and conquered the challenges of emancipation. Like my previous books, it is set in the Low Country of South Carolina during the Civil War. With luck, it should be available in October. Carolyn Poling Schriber received her PhD in History from the University of Colorado, where she studied medieval Europe and 19th-century America. She was a tenured professor at Rhodes College, specializing in medieval history and publishing extensively on relationships between Anglo-Norman bishops and kings in the twelfth century. She established and edited an early (1995) resource website for teachers of medieval history. ORB (The Online Reference Book for Medieval History) continues as a prime reference site under a new editor. After retiring with Professor Emerita status in 2004, Schriber turned her attention to her second love, the history of America’s Civil War. The books Schriber has published since retirement have moved away from scholarly fact-finding to human interest. A Scratch with the Rebelsand Beyond All Price have both been set in South Carolina during the northern occupation of the Low Country. A Scratch with the Rebels, although non-fiction, illuminates the depth and diversity of perspectives from ordinary soldiers — one a Pennsylvania backwoodsman, the other a Presbyterian minister’s son from Charleston, SC — on opposite sides of the Civil War. Beyond All Price, Schriber’s first historical novel, tells the story of Nellie Chase, who served as matron and nurse in the Roundhead Regiment from Pennsylvania. 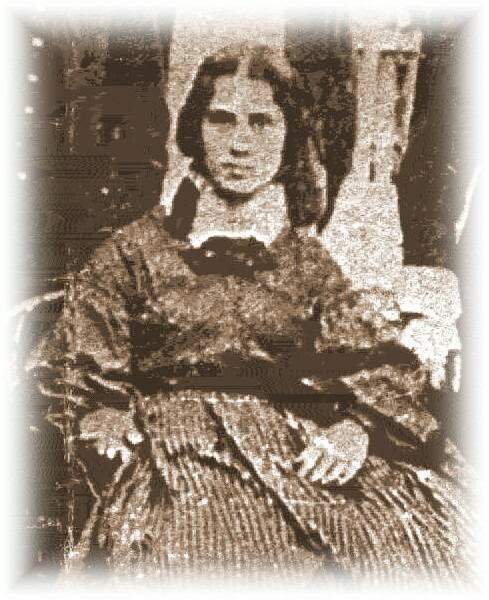 Nellie fought her own series of wars, against an abusive husband, against a vengeful Presbyterian minister, against nineteenth-century attitudes toward women who lacked the protection of family status, and ultimately, against a foe more lethal than war itself. 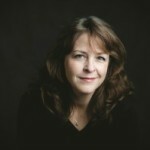 Schriber’s most recent book, The Second Mouse Gets the Cheese, originated as a series of blog posts written as Schriber struggled to find her own way through the “thickets of self-publishing.” The lessons she learned along the way helped her to win two separate book awards and to find herself listed among the top 100 Amazon bestsellers in Historical Fiction. The advice in the book is her way of paying it forward to other new authors. Schriber now lives near Memphis, Tennessee, with her husband Floyd and five companionable but opinionated cats. Read Schriber’s Roundheads and Rambling blog at Katzehaus Books or her book-writing blog, On the Road to Frogmore. 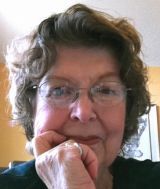 This entry was posted in Author Interviews, Travel & History and tagged Beyond All Price, Carolyn Poling Schriber, Civil War historical narrative writing on March 22, 2012 by AnneWainscott.